4150601 D80A-12 KOMATSU D80A-12 Buldozer "D-80" series. Spare Parts Catalog. Service (workshop) Manual. Operator's Instruction Manual. 4150602 D80A-18 KOMATSU D80A-18 Buldozer "D-80" series. Spare Parts Catalog. Service (workshop) Manual. Operator's Instruction Manual. 4150603 D80E-18 KOMATSU D80E-18 Buldozer "D-80" series. Spare Parts Catalog. Service (workshop) Manual. Operator's Instruction Manual. 4150604 D80F-18 KOMATSU D80F-18 Buldozer "D-80" series. Spare Parts Catalog. Service (workshop) Manual. Operator's Instruction Manual. 4150605 D80P-12 KOMATSU D80P-12 Buldozer "D-80" series. Spare Parts Catalog. Service (workshop) Manual. Operator's Instruction Manual. 4150606 D80P-18 KOMATSU D80P-18 Buldozer "D-80" series. Spare Parts Catalog. Service (workshop) Manual. Operator's Instruction Manual. 4150608 D85A-12 KOMATSU D85A-12 Buldozer "D-85" series. Spare Parts Catalog. Service (workshop) Manual. Operator's Instruction Manual. 4150609 D85A-18 KOMATSU D85A-18 Buldozer "D-85" series. Spare Parts Catalog. Service (workshop) Manual. Operator's Instruction Manual. 4150610 D85A-21 KOMATSU D85A-21 Buldozer "D-85" series. Spare Parts Catalog. Service (workshop) Manual. Operator's Instruction Manual. 4150611 D85E-18 KOMATSU D85E-18 Buldozer "D-85" series. Spare Parts Catalog. Service (workshop) Manual. Operator's Instruction Manual. 4150612 D85E-21 KOMATSU D85E-21 Buldozer "D-85" series. Spare Parts Catalog. Service (workshop) Manual. Operator's Instruction Manual. 4150613 D85E-SS KOMATSU D85E-SS Buldozer "D-85" series. Spare Parts Catalog. Service (workshop) Manual. Operator's Instruction Manual. 4150614 D85E-SS-1 KOMATSU D85E-SS-1 Buldozer "D-85" series. Spare Parts Catalog. Service (workshop) Manual. Operator's Instruction Manual. 4150615 D85E-SS-2 KOMATSU D85E-SS-2 Buldozer "D-85" series. Spare Parts Catalog. Service (workshop) Manual. Operator's Instruction Manual. 4150616 D85E-SS-2A KOMATSU D85E-SS-2A Buldozer "D-85" series. Spare Parts Catalog. Service (workshop) Manual. Operator's Instruction Manual. 4150617 D85EX-15 KOMATSU D85EX-15 Buldozer "D-85" series. Spare Parts Catalog. Service (workshop) Manual. Operator's Instruction Manual. 4150618 D85EX-15E0 KOMATSU D85EX-15E0 Buldozer "D-85" series. Spare Parts Catalog. Service (workshop) Manual. Operator's Instruction Manual. 4150619 D85EX-15R KOMATSU D85EX-15R Buldozer "D-85" series. Spare Parts Catalog. Service (workshop) Manual. Operator's Instruction Manual. 4150620 D85MS-15 KOMATSU D85MS-15 Buldozer "D-85" series. Spare Parts Catalog. Service (workshop) Manual. Operator's Instruction Manual. 4150621 D85P-18 KOMATSU D85P-18 Buldozer "D-85" series. Spare Parts Catalog. Service (workshop) Manual. Operator's Instruction Manual. 4150622 D85P-21 KOMATSU D85P-21 Buldozer "D-85" series. Spare Parts Catalog. Service (workshop) Manual. Operator's Instruction Manual. 4150623 D85PX-15 KOMATSU D85PX-15 Buldozer "D-85" series. Spare Parts Catalog. Service (workshop) Manual. Operator's Instruction Manual. 4150624 D85PX-15 Tier3 KOMATSU D85PX-15 Tier3 Buldozer "D-85" series. Spare Parts Catalog. Service (workshop) Manual. Operator's Instruction Manual. 4150625 D85PX-15E0 KOMATSU D85PX-15E0 Buldozer "D-85" series. Spare Parts Catalog. Service (workshop) Manual. Operator's Instruction Manual. 4150626 D85PX-15R KOMATSU D85PX-15R Buldozer "D-85" series. Spare Parts Catalog. Service (workshop) Manual. Operator's Instruction Manual. 4150628 D87E-2 KOMATSU D87E-2 Buldozer "D-87" series. Spare Parts Catalog. Service (workshop) Manual. Operator's Instruction Manual. 4150630 D135A-1 KOMATSU D135A-1 Buldozer "D-135" series. Spare Parts Catalog. Service (workshop) Manual. Operator's Instruction Manual. 4150631 D135A-2 KOMATSU D135A-2 Buldozer "D-135" series. Spare Parts Catalog. Service (workshop) Manual. Operator's Instruction Manual. 4150632 D135A-2H KOMATSU D135A-2H Buldozer "D-135" series. Spare Parts Catalog. Service (workshop) Manual. Operator's Instruction Manual. 4150634 D150A-1 KOMATSU D150A-1 Buldozer "D-150" series. Spare Parts Catalog. Service (workshop) Manual. Operator's Instruction Manual. 4150636 D155A-1 KOMATSU D155A-1 Buldozer "D-155" series. Spare Parts Catalog. Service (workshop) Manual. Operator's Instruction Manual. 4150637 D155A-2 KOMATSU D155A-2 Buldozer "D-155" series. Spare Parts Catalog. Service (workshop) Manual. Operator's Instruction Manual. 4150638 D155A-2A KOMATSU D155A-2A Buldozer "D-155" series. Spare Parts Catalog. Service (workshop) Manual. Operator's Instruction Manual. 4150639 D155A-3 KOMATSU D155A-3 Buldozer "D-155" series. Spare Parts Catalog. Service (workshop) Manual. Operator's Instruction Manual. 4150640 D155A-5 KOMATSU D155A-5 Buldozer "D-155" series. Spare Parts Catalog. Service (workshop) Manual. Operator's Instruction Manual. 4150641 D155A-6 KOMATSU D155A-6 Buldozer "D-155" series. Spare Parts Catalog. Service (workshop) Manual. Operator's Instruction Manual. 4150642 D155A-6R KOMATSU D155A-6R Buldozer "D-155" series. Spare Parts Catalog. Service (workshop) Manual. Operator's Instruction Manual. 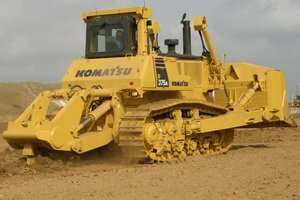 4150643 D155AX-3 KOMATSU D155AX-3 Buldozer "D-155" series. Spare Parts Catalog. Service (workshop) Manual. Operator's Instruction Manual. 4150644 D155AX-5 KOMATSU D155AX-5 Buldozer "D-155" series. Spare Parts Catalog. Service (workshop) Manual. Operator's Instruction Manual. 4150645 D155AX-6 KOMATSU D155AX-6 Buldozer "D-155" series. Spare Parts Catalog. Service (workshop) Manual. Operator's Instruction Manual. 4150646 D155AX-7 KOMATSU D155AX-7 Buldozer "D-155" series. Spare Parts Catalog. Service (workshop) Manual. Operator's Instruction Manual. 4150647 D155W-1 KOMATSU D155W-1 Buldozer "D-155" series. Spare Parts Catalog. Service (workshop) Manual. Operator's Instruction Manual. 4150649 D245AX-5 KOMATSU D245AX-5 Buldozer "D-245" series. Spare Parts Catalog. Service (workshop) Manual. Operator's Instruction Manual. 4150651 D275A-2 KOMATSU D275A-2 Buldozer "D-275" series. Spare Parts Catalog. Service (workshop) Manual. Operator's Instruction Manual. 4150652 D275A-5R KOMATSU D275A-5R Buldozer "D-275" series. Spare Parts Catalog. Service (workshop) Manual. Operator's Instruction Manual. 4150653 D275AX-5 KOMATSU D275AX-5 Buldozer "D-275" series. Spare Parts Catalog. Service (workshop) Manual. Operator's Instruction Manual. 4150654 D275AX-5 Tier3 KOMATSU D275AX-5 Tier3 Buldozer "D-275" series. Spare Parts Catalog. Service (workshop) Manual. Operator's Instruction Manual. 4150655 D275AX-5E0 KOMATSU D275AX-5E0 Buldozer "D-275" series. Spare Parts Catalog. Service (workshop) Manual. Operator's Instruction Manual. 4150657 D355A-1 KOMATSU D355A-1 Buldozer "D-355" series. Spare Parts Catalog. Service (workshop) Manual. Operator's Instruction Manual. 4150658 D355A-3 KOMATSU D355A-3 Buldozer "D-355" series. Spare Parts Catalog. Service (workshop) Manual. Operator's Instruction Manual. 4150659 D355A-5 KOMATSU D355A-5 Buldozer "D-355" series. Spare Parts Catalog. Service (workshop) Manual. Operator's Instruction Manual. 4150661 D375A-1 KOMATSU D375A-1 Buldozer "D-375" series. Spare Parts Catalog. Service (workshop) Manual. Operator's Instruction Manual. 4150662 D375A-2 KOMATSU D375A-2 Buldozer "D-375" series. Spare Parts Catalog. Service (workshop) Manual. Operator's Instruction Manual. 4150663 D375AR-2 KOMATSU D375AR-2 Buldozer "D-375" series. Spare Parts Catalog. Service (workshop) Manual. Operator's Instruction Manual. 4150664 D375A-3 KOMATSU D375A-3 Buldozer "D-375" series. Spare Parts Catalog. Service (workshop) Manual. Operator's Instruction Manual. 4150665 D375A-5 KOMATSU D375A-5 Buldozer "D-375" series. Spare Parts Catalog. Service (workshop) Manual. Operator's Instruction Manual. 4150666 D375A-5 Tier3 KOMATSU D375A-5 Tier3 Buldozer "D-375" series. Spare Parts Catalog. Service (workshop) Manual. Operator's Instruction Manual. 4150667 D375A-5E0 KOMATSU D375A-5E0 Buldozer "D-375" series. Spare Parts Catalog. Service (workshop) Manual. Operator's Instruction Manual. 4150668 D375A-5R KOMATSU D375A-5R Buldozer "D-375" series. Spare Parts Catalog. Service (workshop) Manual. Operator's Instruction Manual. 4150669 D375A-6 KOMATSU D375A-6 Buldozer "D-375" series. Spare Parts Catalog. Service (workshop) Manual. Operator's Instruction Manual. 4150670 D375A-6R KOMATSU D375A-6R Buldozer "D-375" series. Spare Parts Catalog. Service (workshop) Manual. Operator's Instruction Manual. 4150672 D455A-1 KOMATSU D455A-1 Buldozer "D-455" series. Spare Parts Catalog. Service (workshop) Manual. Operator's Instruction Manual. 4150674 D475A-2 KOMATSU D475A-2 Buldozer "D-475" series. Spare Parts Catalog. Service (workshop) Manual. Operator's Instruction Manual. 4150675 D475A-3 KOMATSU D475A-3 Buldozer "D-475" series. Spare Parts Catalog. Service (workshop) Manual. Operator's Instruction Manual. 4150676 D475A-5 KOMATSU D475A-5 Buldozer "D-475" series. Spare Parts Catalog. Service (workshop) Manual. Operator's Instruction Manual. 4150677 D475A-5 Tier2 KOMATSU D475A-5 Tier2 Buldozer "D-475" series. Spare Parts Catalog. Service (workshop) Manual. Operator's Instruction Manual. 4150678 D475A-5E0 KOMATSU D475A-5E0 Buldozer "D-475" series. Spare Parts Catalog. Service (workshop) Manual. Operator's Instruction Manual. 4150679 D475A-5E0 GALEO KOMATSU D475A-5E0 GALEO Buldozer "D-475" series. Spare Parts Catalog. Service (workshop) Manual. Operator's Instruction Manual. 4150680 D475ASD-5 KOMATSU D475ASD-5 Buldozer "D-475" series. Spare Parts Catalog. Service (workshop) Manual. Operator's Instruction Manual. 4150681 D475ASD-5 GALEO KOMATSU D475ASD-5 GALEO Buldozer "D-475" series. Spare Parts Catalog. Service (workshop) Manual. Operator's Instruction Manual. 4150682 D475ASD-5 Tier2 KOMATSU D475ASD-5 Tier2 Buldozer "D-475" series. Spare Parts Catalog. Service (workshop) Manual. Operator's Instruction Manual. 4150683 D475ASD-5E0 KOMATSU D475ASD-5E0 Buldozer "D-475" series. Spare Parts Catalog. Service (workshop) Manual. Operator's Instruction Manual. 4150684 D475ASD-5E0 GALEO KOMATSU D475ASD-5E0 GALEO Buldozer "D-475" series. Spare Parts Catalog. Service (workshop) Manual. Operator's Instruction Manual. 4150686 D575A-2 KOMATSU D575A-2 Buldozer "D-575" series. Spare Parts Catalog. Service (workshop) Manual. Operator's Instruction Manual. 4150687 D575A-3 KOMATSU D575A-3 Buldozer "D-575" series. Spare Parts Catalog. Service (workshop) Manual. Operator's Instruction Manual.